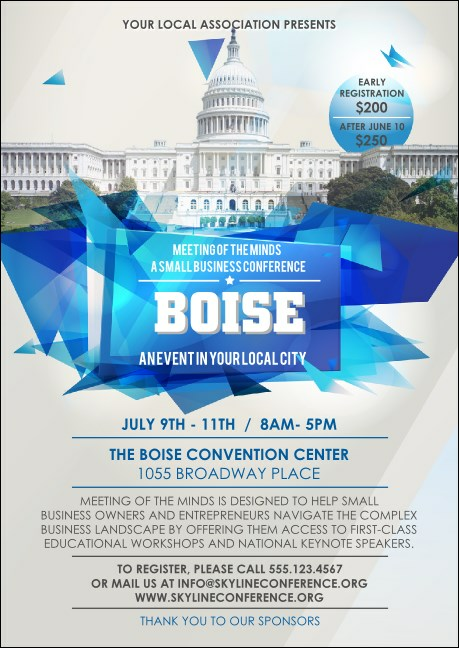 Capture the attention of Southwestern Idaho when you advertise your next City of Trees event in advance with Boise Postcards. Help your event grow more famous than the Idaho Potato Bowl with Postcards that feature a stunning shot of the Capitol building with a pure white background and twenty-one lines of custom text. TicketPrinting.com helps you extend the limbs of your advertising!